Tank Products, Inc. offers a wide variety of tank gasket material to meet existing specifications or new applications. The BUNA-N strip gasket meets mil spec. 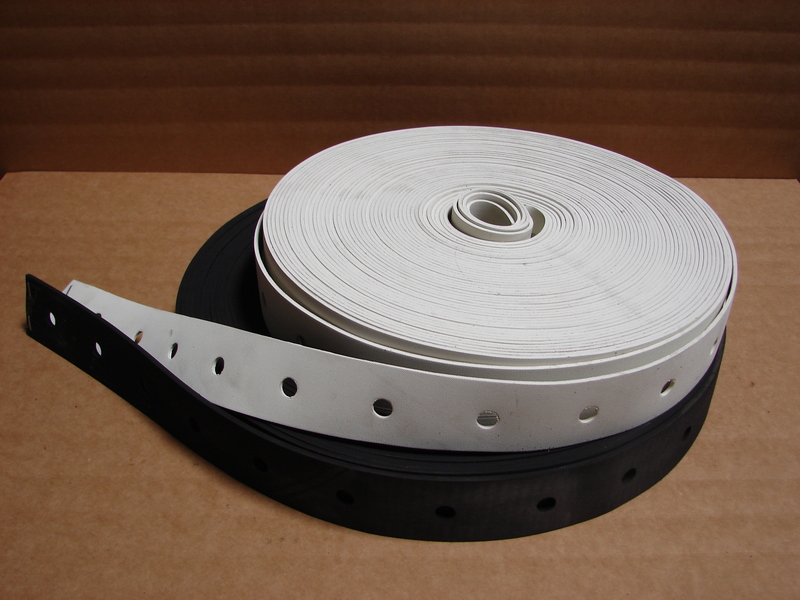 1086-D and comes in 100 foot rolls that are 1-3/4" wide. It is pre-punched on 2" centers with 7/16" holes and is available in 1/8" and 3/32" thickness. 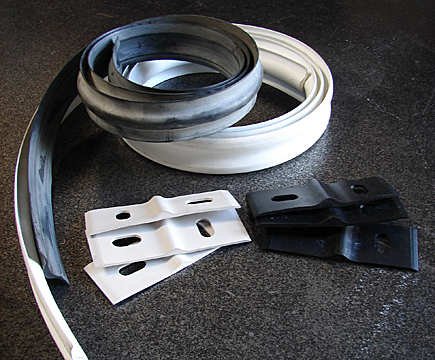 It can also be ordered in in white EPDM materials. F.D.A. approved. (Please specify type of material and thickness when ordering. Available in EPDM, and Buna-Nitril. Radii-gasket is sold by the foot. Chime laps are 9/16" holes on sloted 2" center. 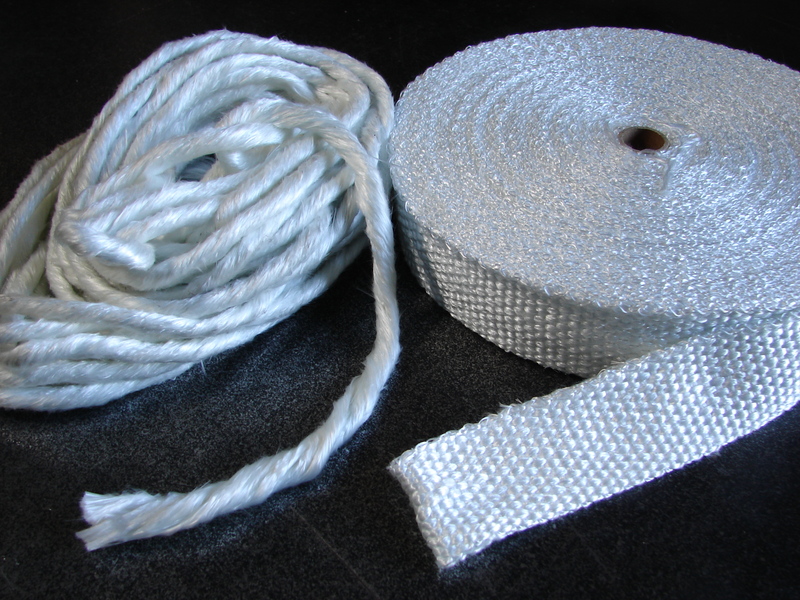 Thermo-sil and wick rope gasket material is designed for sealing hatches with temperatures up to 1,000 degrees. Thermo-sil is 2" wide by 1/8" thick and in 100 foot rolls. The wick rope is approx. 1/4" thick and available by the lb. or approx. 50ft per lb.